Colvin & Moggridge have gained planning permission for Seymour Farm near Mont Orgueil Castle on the East coast of Jersey. A new classically designed house by Hugh Petter (AA). We were responsible for siting the house and all aspects of the landscape and garden design. The house replaces an existing large barn on a prominent hilltop position with wonderful sea views over St Catherines Breakwater. Oxford’s most popular attractions, the Meadow and Christ Church, to get new visitor facilities. 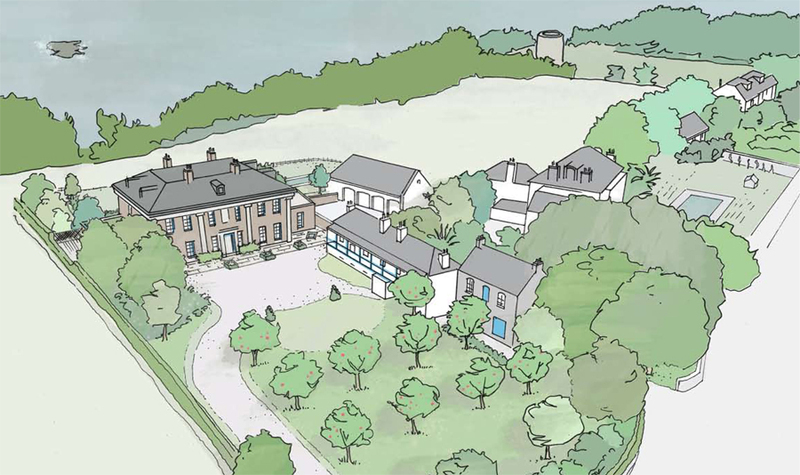 Innovative placement of new classical country house in disused railway embankment clinches NPPF Para 55 planning permission.